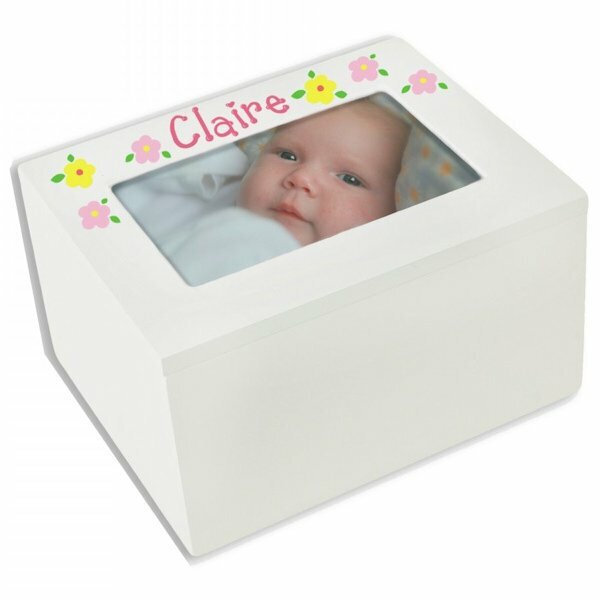 We love this gift box for flower girls because you can tuck a 4" x 6" photo of the couple and child in the top to create a special keepsake just for her! To make it even more special, we'll hand-paint their name on the lid along with the design of your choice. The hinged-lid box is painted white, lined with pink felt to protect her treasures and measures 8" x 6" x 4.5" tall.